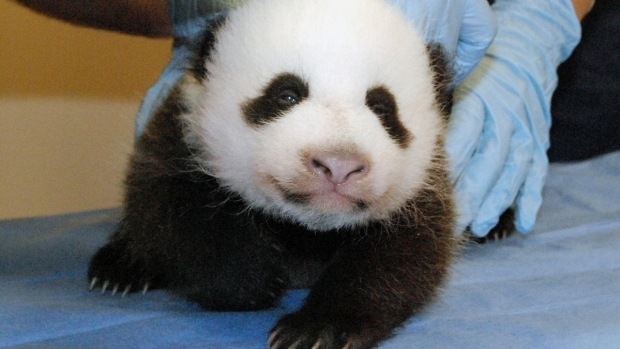 The National Zoo's panda cub will soon have a name. In accordance with Chinese tradition, the new name will be announced on her 100th day of life. Not so much in accordance with tradition, the outcome of an online poll will determine that name. Bao Bao (宝宝): Precious, treasure. Ling Hua (玲花): Darling, delicate flower. Long Yun (龙韵): Long is the Chinese symbol of the dragon; Yun means charming. Combined this represents a sign of luck for panda cooperation between China and the United States. Mulan (木兰): Legendary young woman, a smart and brave Chinese warrior from the fifth century; also the name for the magnolia flower in China and the United States. Zhen Bao (珍宝): Treasure, valuable. 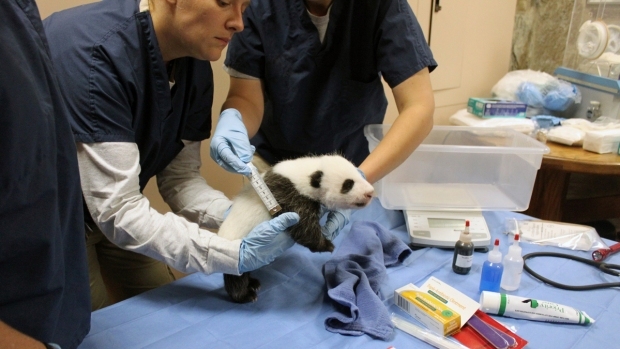 Zoo's Panda Cub Weighs 5 Pounds! The poll will be open through Nov. 22, and the cub will be named during a ceremony Dec. 1. The option of "Mulan" might raise the eyebrows of those familiar with the 1998 Disney movie, but the movie was in fact based on a heroine in an ancient Chinese legend. According to that legend, Hua Mulan dressed like a man and took her elderly father's place in battle, originally described in a poem called "The Ballad of Mulan." 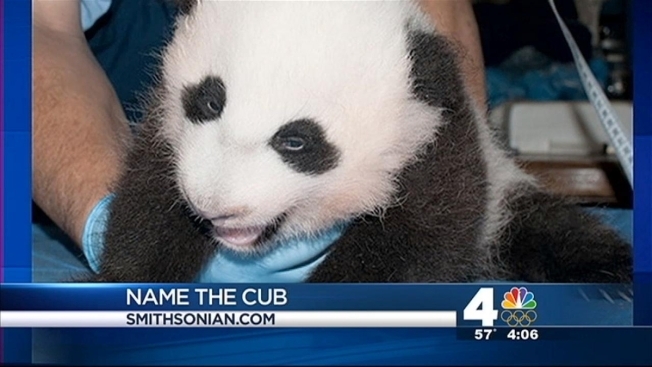 The five choices were submitted by the U.S. ambassador to China, the Chinese ambassador to the U.S.; the zoo's giant panda keepers; giant panda keepers at the Wolong National Nature Reserve in China (where the cub will move when she turns four years old), and the Friends of the National Zoo. The cub has been growing quickly since her birth Aug. 27. Most recently, she weighed in at a healthy 7.7 pounds, and her eyes, which began opening earlier this month during the government shutdown, have nearly opened all the way. Mei Xiang is now being sent outside for breakfast for up to two hours each day, leaving the cub to nap on her own and be examined by vets. The cub will not be on display to visitors until she's older. In the meantime, you can watch the cub on the National Zoo's Panda Cam.